Yu, Y, Xu, G, & Wang, X. (2017). 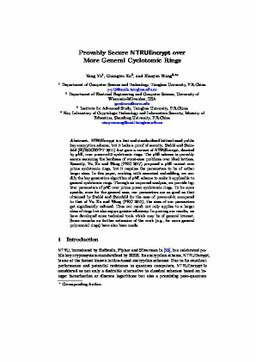 Provably secure NTRU-Encrypt over more general cyclotomic rings. IACR Cryptology ePrint Archive.